The 2017 Talent Summit recently took place in the Radisson, Galway. 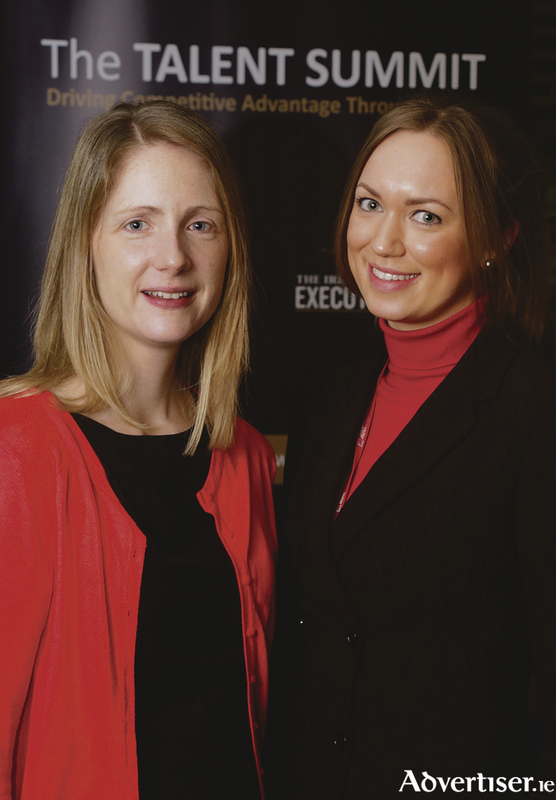 The Talent Summit, which was founded by Sigmar Recruitment in association with The Irish Times Executive Jobs attracted over 1,000 people to five events across Dublin, Cork and Galway. With the talent agenda ranking as the number one priority for business leaders around the globe, the theme of this year’s programme was “Driving Competitive Advantage through Talent”. Key topics discussed over the programme included; leadership and cultivating the leaders of tomorrow, talent acquisition – recruiting for the new world of work, diversity and inclusion, optimizing performance through people and crafting culture. Holly Fawcett, Curriculum Development Manager Social Talent opened the Galway event speaking about recruiting for the New World of Work. She looked at the employer’s version of flexibility versus the employee’s version and showed us that the Commitment Model (where employees are invested in and partnered with over a long period of time ) is the most successful management/leadership style. Holly advised the audience to maximise people services through learning, grow productivity through autonomy and invest in technology. David Barrett, COO of Cut-E (specialists and world leaders in talent measurement and psychometric assessments ) headquartered in Loughrea highlighted some impressive statistics – 82% of all job searches are completed from a mobile phone, one in three employees prioritise social media freedom, device flexibility and work mobility over salary. The New World of Work is driven by the digital revolution. A panel discussion on Inclusive Talent Management brought some highly regarded, local female business leaders to the table to speak about diversity and inclusion within the workplace. Mairead McCaul (MSD ), Sinead Meaney (Boston Scientific ) and Fidelma Healy (Futures Together Ltd. ) showed us how an inclusive and diverse work place benefits both company and employees. MSD and Boston Scientific both sponsor employee organizations and have programs dedicated to fostering a diverse and inclusive work environment. Encouragingly 60% of employers have a strategy to promote diversity and inclusion within their organisations. To close the jam-packed morning, Shane McCauley, Director of People Systems and Analytics in Twitter shared the outcome of organisational research that Twitter conducted into what their employees want from their experience within the workplace. The results: people want to learn and grow, they want a great manager, they want challenging work, team work, great co-workers, and total reward. Nothing surprising or new there. What was impressive though was how Shane and his team are using this information to fight attrition.